We are one of the leading Manufacturers, Exporters and Wholesale Suppliers of Sodium Chloride IP BP. With our sphere expertise, we have been able to provide premium quality Sodium Chloride IP BP. The Sodium Chloride IP BP is used in I.V fluid, O.R.S. Powder and in Hemodialysis solution. 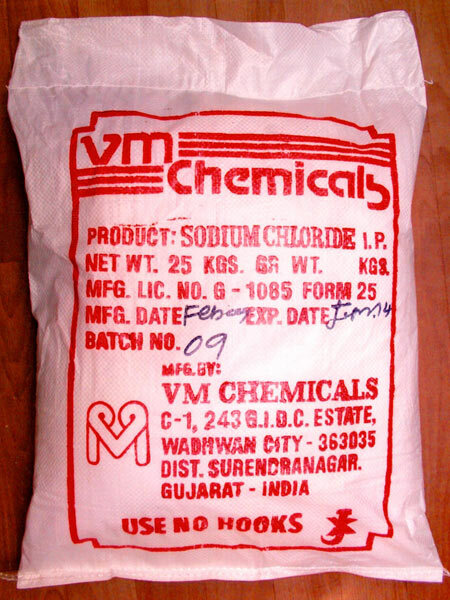 We offer Sodium Chloride IP BP as per customers’ requirements with on time delivery. Packaging Details 25 Kgs in HDPE bag with inside L.D. liner or 50 Kgs fiber drum.